Bricks-and-mortar stores are reliant on foot traffic to improve their revenue. The more footfall in the area, the more likely a store will survive in the competitive retail industry. We are therefore looking at the most effective ways to drive footfall to a store, so you can surpass your direct and indirect competitors. You might have the perfect product line, but what does it matter if no-one visits your store to purchase a product. Unfortunately, a store’s success is often determined by its location, not its product range. If you pick the wrong location, you may as well close your doors as soon as you have opened them. 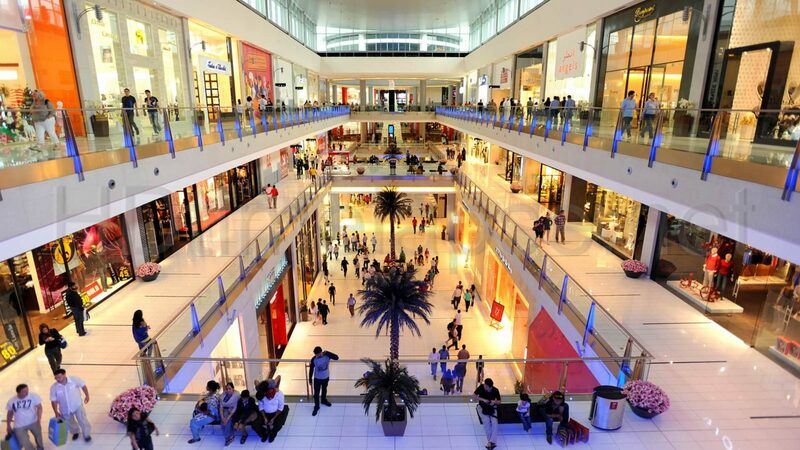 Malls are therefore a great option to drive traffic into your store, as you can guarantee you will receive a lot of passing trade. For example, you could lease a retail kiosk from a company like Westfield Specialty Leasing, which can provide 360-degree visibility to promote your business. An attractive storefront can encourage visitors to shop with you, so take the time to design an inviting store, and ensure you effectively maintain the premises. Customers will not be impressed with messy checkout areas, dirty floors or faulty shelving. You must therefore clean your windows, sweep the floor, dust the shelving, tidy the checkout area and replace peeling paint with a fresh coat. Nothing is more off-putting to a customer than bored looking staff. Not only could this reflect poor customer service, but the customer will think there is a good reason the store isn’t busy. You must therefore keep your employees busy to offer the illusion of a flourishing store, even if there are no customers on the premises. So, when an employee isn’t at the checkout, they should be moving stock, cleaning or facing the store. Encourage your staff to be mindful of their behaviour inside the store, so every individual effectively represents the company. Not only must you strive to encourage people to walk through your store’s doors, but you will also want to encourage them to return in the future. To continually drive footfall to your store, you should provide unique customer experiences that will retain their loyalty. For instance, you could provide free services attached to your product lines, such as free professional cleaning across all jewellery items. When a customer returns to the store with the items, they may make another purchase while they wait for the accessory to be professionally cleaned. Social media is one of the most powerful marketing tools for the modern company, which is why you should try to work with brand influencers to drive traffic to your store. Try to connect with local influencers on social media, who can promote your store and product line on their Facebook, Twitter, Snapchat or Instagram pages. There are many ways to drive footfall to your store and encourage brand loyalty. You just need to pick the perfect location, storefront and customer service experience, whilst looking for unique opportunities to promote your brand both on and offline. We came across a cool internet site which you could get pleasure from. Take a look should you want. Although internet sites we backlink to below are considerably not related to ours, we feel they may be actually worth a go by way of, so possess a look. Examine underneath, are some fully unrelated web-web sites to ours, even so, they are most reputable resources that we use. A single was produced only for demonstrating seconds and little while a different one particular employing minute graduations is produced for implying hrs. Hey! I know this is fairly off subject but I was questioning if you knew exactly where I could get a captcha plugin for my remark sort? I’m utilizing the very same website system as yours and I’m obtaining troubles finding 1? Many thanks a good deal! Genuinely when an individual does not be mindful of afterward its up to other viewers that they will help, so below it happens. Great publish! We will be linking to this great put up on our web site. Preserve up the great producing. Proper now it seems like Movable Sort is the top blogging platform out there right now. (from what I have read through) Is that what you are employing on your site? Good way of describing, and fastidious write-up to get details concerning my presentation topic subject, which i am likely to express in faculty. Good way of explaining, and fastidious post to get details about my presentation subject matter make a difference, which i am heading to convey in faculty. When I at first commented I clicked the “Notify me when new feedback are added” checkbox and now every single time a comment is added I get 3 emails with the same comment. Is there any way you can get rid of me from that provider? Thank you! Hello there! Do you know if they make any plugins to assist with Search engine optimisation? I’m striving to get my blog to rank for some specific key phrases but I’m not seeing very good gains. If you know of any remember to share. Numerous thanks! The data described within the report are some of the most successful available. Correct now it seems to be like Movable Type is the leading blogging platform out there right now. (from what I’ve read) Is that what you are utilizing on your weblog? Good way of describing, and fastidious post to get information concerning my presentation subject issue, which i am heading to convey in faculty.